How the ODP can help you! 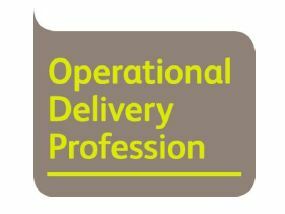 Have you heard of the Operational Delivery Profession or as it's become to be known ODP? Operational delivery professionals are the public face of government and it is by the quality of the work they do that government services are judged. If you are one of the 70% of all civil servants who work in operational delivery then perhaps the most important questions are how does being a part of the profession support you in your career and help you to deliver a more effective service to the public. You can discover the tools and products available to help you recognise and develop the professional skills you already have; help you identify some of the skills you are going to need in the future and highlight ways in which you can develop these. You will also be shown how the profession can help you gain recognition for the professional skills you possess. If you would like to attend the Osprey House event please e-mail Ian Barton stating your preferred timeslot. If you would like to attend the Wingfield House event please e-mail Liz Challand - the second time slot will only be offerred if the first becomes filled. You can read more about the qualifications or you can visit the Operational Delivery web pages (please log onto Civil Service Learning first).